Best passionate narrator performance I've heard. The One True Spell was a woman, and her name was Mystra - and her kisses were wonderful. It is the time before Myth Drannor, when the Heartlands are home to barbarians, and wicked dragons rule the skies. In these ancient days, Elminster is but a shepherd boy, dreaming of adventure and heroics. 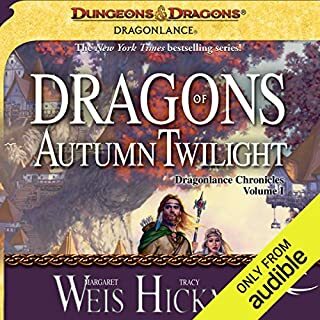 When a dragon-riding magelord sweeps down upon him, though, the boy is thrust into a world of harsh realities, corrupt rulers, and evil sorcerers. With patience and grit, Elminster sets about to change all that. The result of his labors is a world reborn and a mage made. 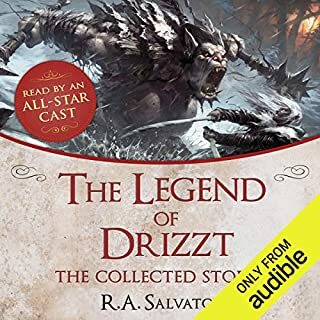 I bought this audiobook because I really like the paper version. However, the narrator makes it very difficult to listen to the story. I could not get through the first chapter before giving up. The narrator speaks mostly in a bored voice while reading the story. It is also very obvious that he is only reading the book, not trying to perform. From the way he reads, I have to assume he tried reading the book version and just found it too boring. 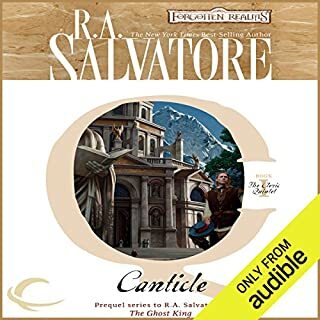 Because that is what he brings to his performance.The main problem with this audiobook is that the overall quality of the audio performance is very bad. 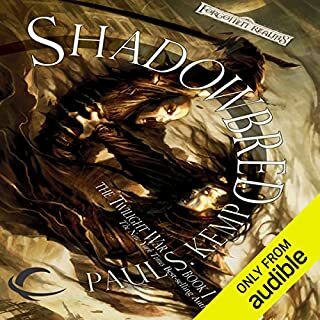 Even for a relatively unknown book the quality put into this audiobook is way below acceptable. 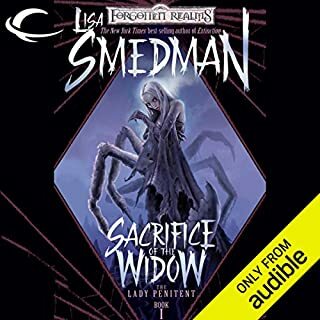 Please save yourself the trouble and avoid this audiobook. Love El, Classic to me. Story of El is always great. Narrator needed to break up the different scenes better. Flows together and unless you can anticipate or pay close attention, you may miss where the break is. Though good. I loved this book as a child and it was just as fun reading it again years later. That said, the narrator was awful. It felt like it was being read by Ben Stein, dry and bland. There was no feeling in the performance, his reading cadence was cumbersome and he barely varied his tone to indicate different characters. It felt like someone ponderously reading a book to me instead of someone performing a story. I stuck through the first two chapters of this book but couldn't bring myself to spend any more time on it. While this is an amazing story, one that I've read multiple times in paper version, the narration was not good and, in my opinion, made it impossible to listen to. I like to listen to audio books while doing something else (house cleaning, driving, data entry, etc.) and the narration was done in such a flat voice, I couldn't easily discern the difference between dialogue and the narration between conversations without applying all of my concentration to listening to the story. Overall, the narrator sounded bored and did nothing to improve the story. If you're interested in Elminster, I recommend picking up a physical copy of this story instead. Stands apart in the Forgotten Realms. Tremendous! 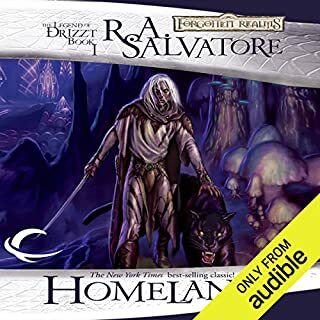 If you've read my reviews, you know I love some of the Forgotten Realms audiobooks, such as the Dragonlance and Drizzt series. 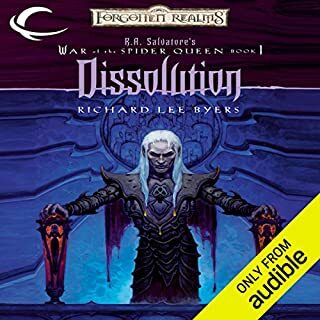 I was holding onnto hope that the Elminster series would be part of what Amazon would bring to the table for Audible's listeners. Finally, they have done so, and it's well worth the wait. I read the Elminster novels many years ago, when they first hit the shelves. 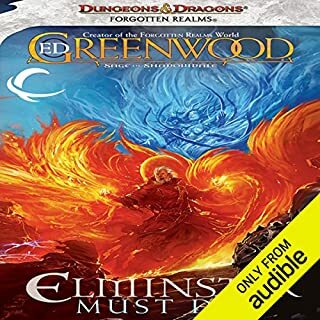 Ed Greenwood is a prolific writer with an excellent style, and I absorbed each of his Elminster novels, soaking in the superb storytelling strengths this author brings to the table. Every aspect of this novel and the subsequent novels in the first and additional series are exceptional listening. Wonderful broad plot strokes, deep story lines and character development. Once again, no spoilers at all. It would only ruin the listening journey. 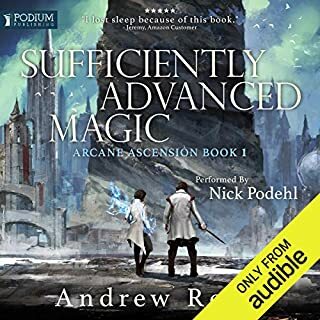 If you like high magic fantasy, this makes for an exciting listen. And as to the rest of the series, Greenwood does't disappoint. I love this series so much, i bought them all. You owe it to yourself to listen to this, the very first in the series. I'm betting you'll want the rest, as I did. The narrator did a poor job with voices and names, and was hard to understand at times. The audio quality was terrible! 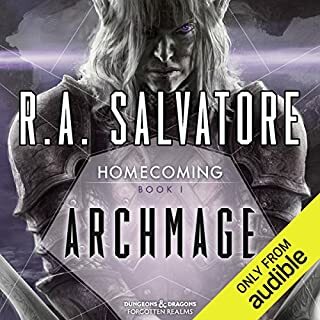 It was a fun ride listening to this book. Looking forward to more adventures of Elminster. Narrator did a fine job. 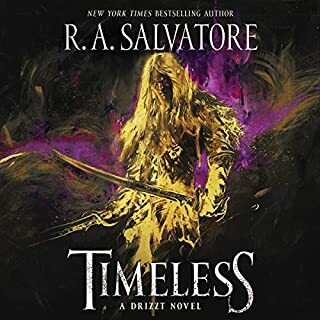 I recommend this to all who love fantasy. Hi John and Sarah. Not sure if it was the writing or the person reading it, but who talks like that?! The speech was all wooden and slow, like it was written by a 6 year old. I found that the speaking between characters ruined the whole story for me. 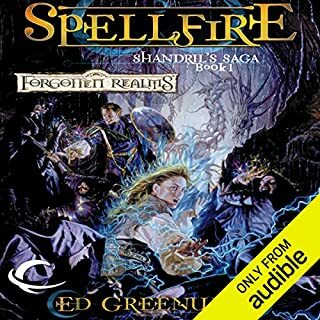 if you're in the mood for a D&D style high fantasy novel, this book is a solid choice. It has a number of faults, not least of which is it's constant change between modern and ar hair language, which pulled me from the story rather than into it. This was not helped by the narrator mispronouncing obvious words (he stepped forward with a bow is probably not referring to a strip of cloth or a projector of arrows. Rather a bend of the head or waist to signify respect. etc.). the plot was kind of standard hero fare, without any real surprises. Still, it was pretty much exactly what it said on the label: a fun Dungeons and Dragons romp following a boy seeking revenge as he passed through many classes until at last finding his way as a mage (indeed, it made me wonder if as a character, Elminster began as someone following the 1st Edition Bard rules. The reader sounds like he's speaking words off a script, without understanding the underlying meaning. The quality of the audiobook suffers as a result. 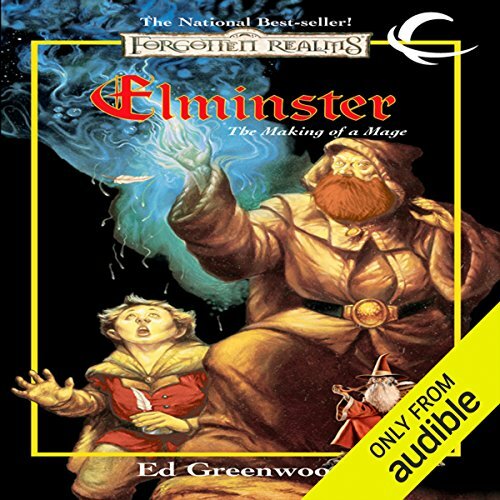 I love Elminster, for me his D&amp;D roots is the very thing that kept me going when i was playing the board versions of D&amp;D, but i never really know his background story, these books gave me the chance to understand him and how he became the larger than life character he is, the story teller is hard to get used too as too many characters sound the same but the story is so good it worked for me.